It's November month, few days back it was my birthday. 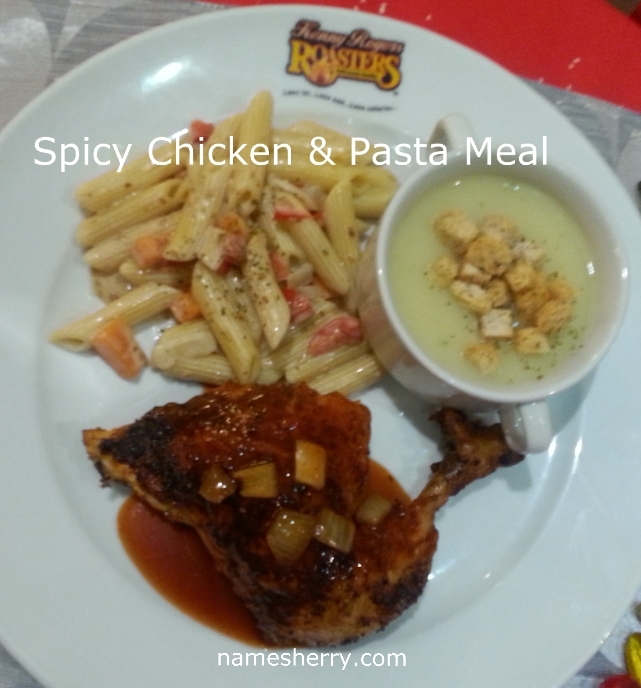 Now about Kenny Rogers ROASTERS (KRR) has switches things up with a spicy and fiery twist in their latest recipe, the Hot Fiery Feast! The new recipe comes with a Country-style Chicken Soup and Sesame Penne Pasta. The mouthwatering Hot Fiery Feast will be made available in 3 meal options; the Spicy Chicken & Pasta Meal, Spicy Chicken & Pasta Lite Meal and Sesame Penne Pasta Meal from RM17.90* onwards. Lately I love to try out spicy food, I tried the Spicy Chicken & Pasta Meal refer to the first photo below. For your information the mouthwatering Hot Fiery Feast will be made available in 3 meal options; the Spicy Chicken & Pasta Meal, Spicy Chicken & Pasta Lite Meal and Sesame Penne Pasta Meal from RM17.90* onwards. I like this as I find it is nice combination of everything in it. Packed with nutrition, the Hot Fiery Feast meal is a healthy and calorie-friendly meal. (From left): Marketing Manager of Berjaya Roasters (M) Sdn Bhd, Ms Christina Thong presenting the new Hot Fiery Feast alongside two KRR team members. The introduction of this new taste will give a kick to spicy food lovers. In this new recipe, they have their unique and hot BBQ sauce to blend with their nutritious chicken. Country-style Chicken Soup and Sesame Penne Pasta to go with the meal as both has great amount of vitamins and minerals. 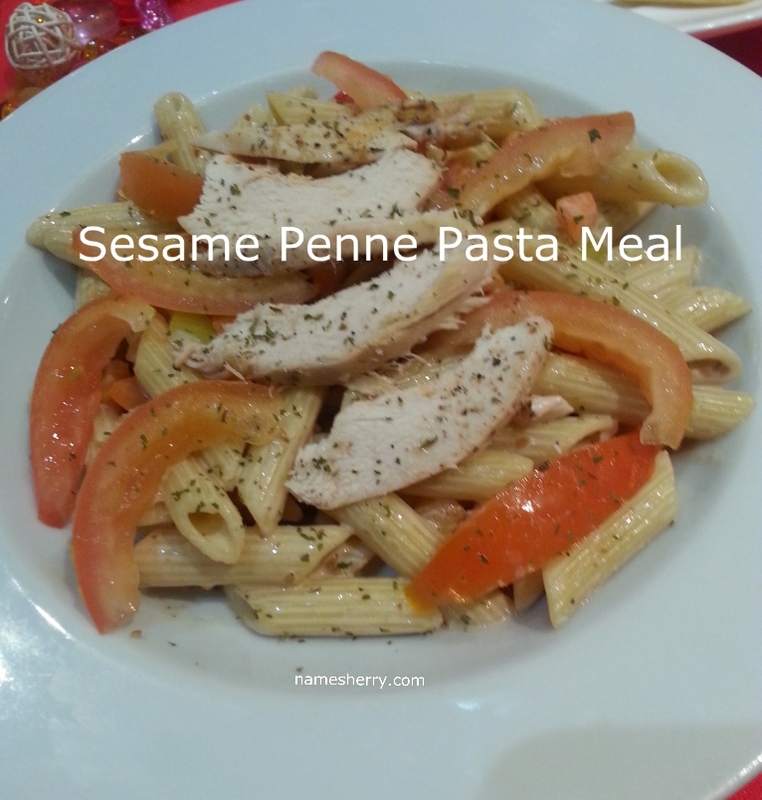 I love this new Sesame Penne Pasta, it has a rich flavour which makes it a perfect blend in the meal. If you love to bring home some home made muffins, check out the photo above. Now they comes with a nice eco-friendly pack that you can use it as gift for loved one. KRR will be having a special promotion for their Kenny's Home Made Muffins for the festive Christmas season! For more information on Kenny Rogers ROASTERS, kindly contact 03 - 2119 9888. You can also visit www.krr.com.my or www.facebook.com/krrmalaysia. being long time no eat krr .. remind me their yummy roasted chicken . hehe!later ask my hubby dinner la. Long time did not dine in Kenny Rogers. Love its juicy chicken. Maybe could give their newest menu the next round I go there. I have always loved the meals in KRR and the muffins. Going to try this soon, love the spicy chicken though. I should try their new menu since its been long long time I didn't try out their food already! its been so long since I last eat kenny roaster.. I miss eating at Kenny Rogers... the muffins looks lovely to eat yummm.